of what I want to see in the room as far as color and pattern. However, I came home with this gorgeous bouquet of flowers that my sweet hubby bought me! I arranged them in an animal print vase by Pottery Barn. for my Fall decor, I thought this vase would be perfect in the room. with something new that is in the great room (reveal coming soon). Another small arrangement that is actually in an animal print candle holder from Pottery Barn. You will see this color combination used in many rooms this Fall. 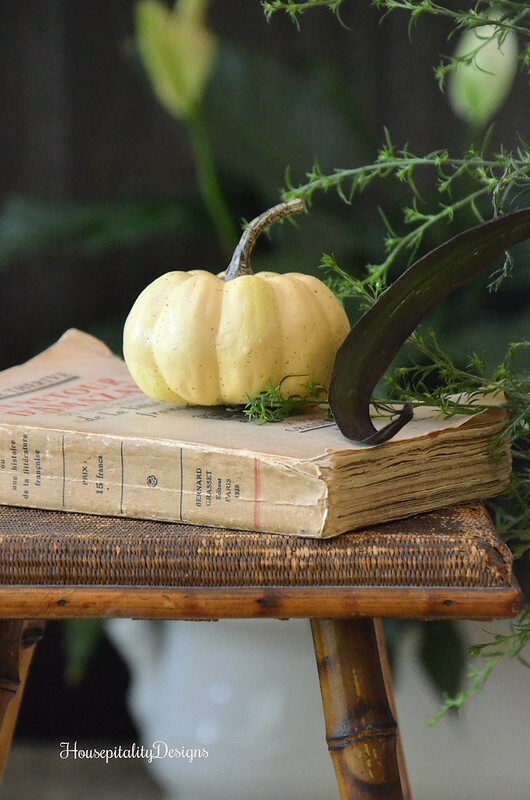 A faux Boo Pumpkin sits on the Vintage French Bamboo stool. 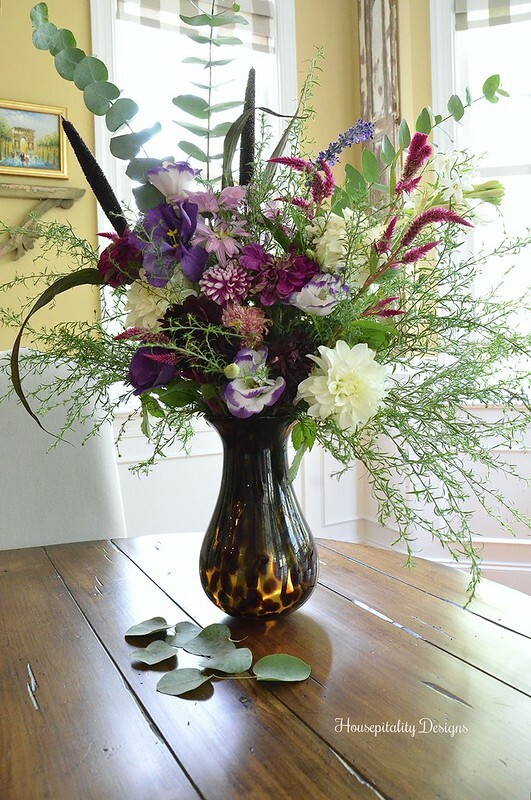 there will be another Fall arrangement … most likely not as large as this one. 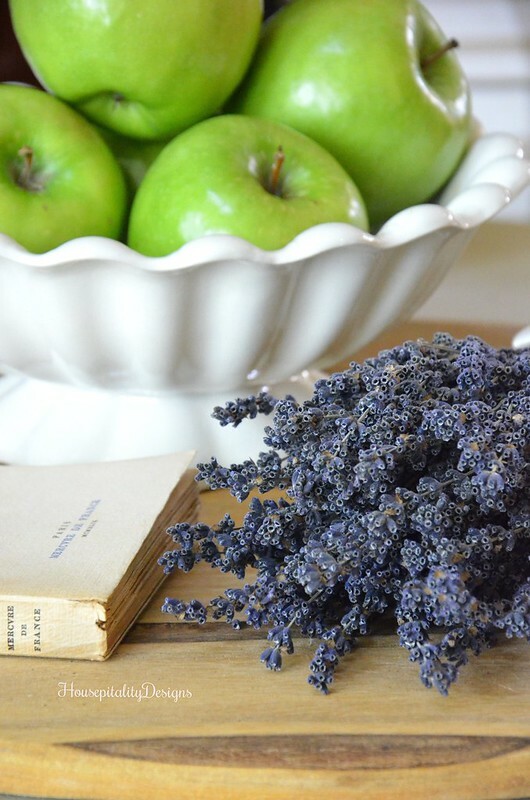 and start creating my Fall vignettes/decor throughout the house. I want to take this time to thank everyone for their well wishes. I get my stitches out today and I will be a very happy camper!!! 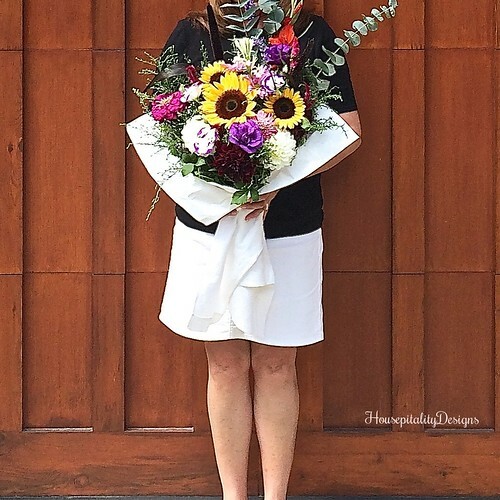 Shirley, what a beautiful bouquet of flowers and the arrangement you created is stunning! Love all the touches of fall that you have added! Wishing you well as you get those stitches removed! Those flowers are gorgeous. I haven’t started much fall decorating either. I am pretty sure I can find pumpkins at Burt’s Farm that I go to every year. It has just been too hot. I like adding pumpkins in October. What I really need to get are some mums. So glad the stitches are coming out! I love your beautiful bouquet! The deep plums and purples are so rich looking and so unique for fall! I love it! Having fresh flowers in the house just makes you feel happy doesn’t it? Glad you are on the mend! Lisa’s recent post…It’s Not Too Late! Everything is lovely, as always! Your bouquet is beautiful! I love all of your Fall touches! I am so glad that your hand is healing and that you get your stitches removed today! I love the vase you used for the flowers Hubby bought you!! Your house is awesome! What a gorgeous bouquet! 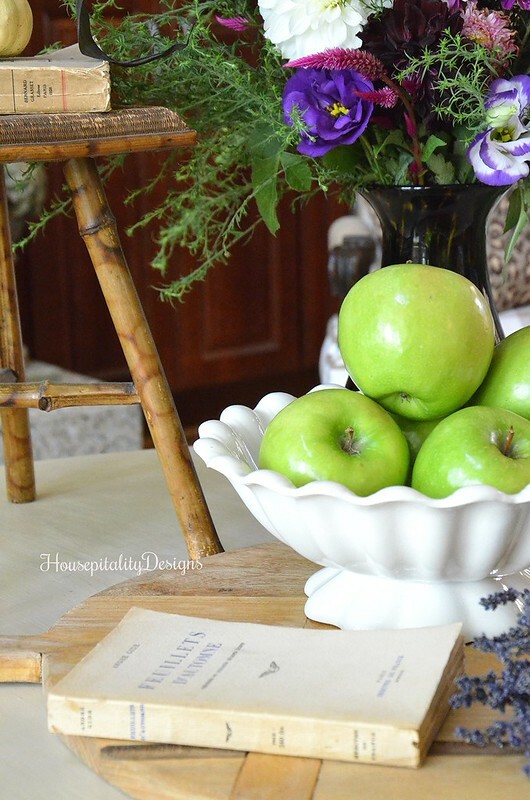 Love the way it looks in the animal print vase with the pop of green from the apples! Just beautiful! Totally lovely! Gosh how I miss being able to have fresh flowers in the house. Oh well,, some day! 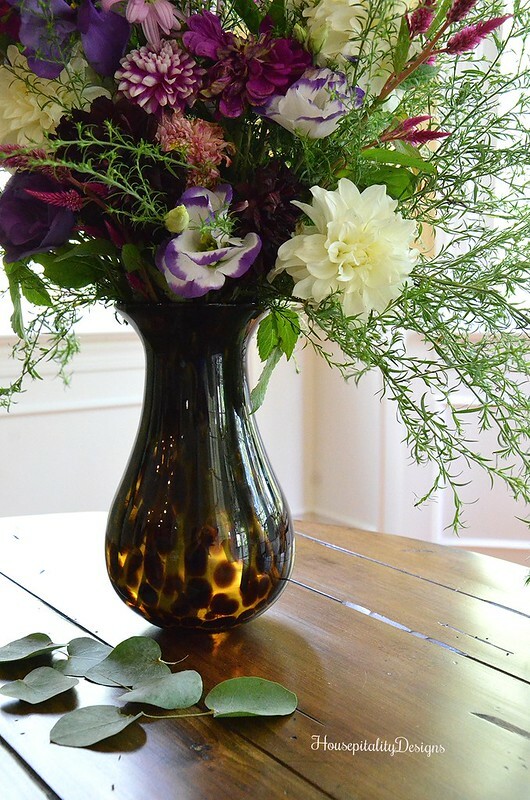 Your bouquet of flowers is so beautiful…..I love the vase!!! 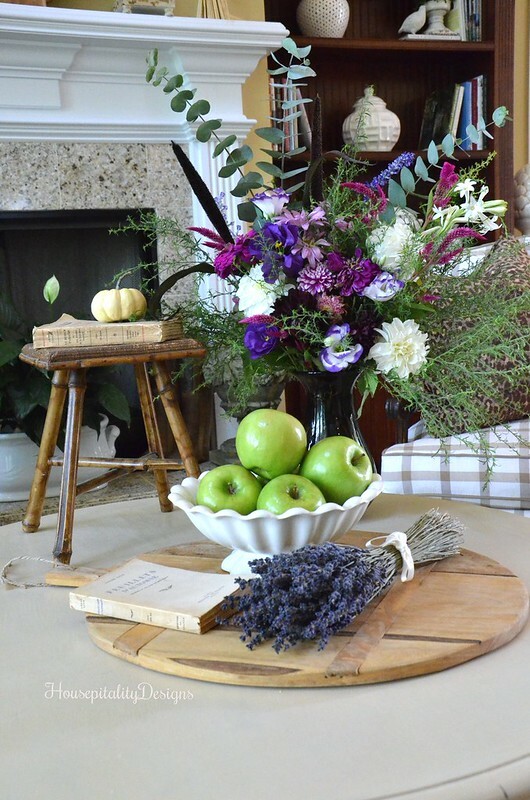 Lovely floral arrangements! You just have that magic touch, Shirley! And with your stitches removed, who knows what delightful things we will get to see?! Can’t wait! Best wishes to the happy camper! I love where you are going with this!! I might have to be a copy cat and head to pottery barn. Love the candle holder and vase in the animal print. As much as I love all the neutral decor out there, I just love the traditional Fall colors more! Your animal prints look great with your flowers. It’s all so pretty! Yay, for stitches coming out. Hope you are back to normal soon! Love the colors of the flowers…give me color. Glad to hear you are getting stitches out of hand today. Shirley, thats the most beautiful lavender I’ve seen. Such a vibrant shade. Your flower arrangements are both pretty. Glad your stitches will be out soon. I do like your tortoise shell vase! I have one but it is so big it requires too many flowers. Yours is a good size. You asked about my kitchen and the reveal is posted. Thanks for your sweet comment on Part 1. Gorgeous bouquet! Love the tortoise glass also. Beautiful color combination you’re using this year. The flower bouquet is gorgeous, and I’m loving the whole vignette. Hope you have full use of your hand soon. Love the color combo, Shirley! The flowers are gorgeous; and you know I love that touch of animal print! Glad to hear that the stitches are coming out today! Hope all goes well! I am so happy to say I have most of my decorating done because there was a chance I would be at jury duty tomorrow and Thurs. Luckily I do not have to go tomorrow, will find out tomorrow night if I have to report Thurs. Those flowers are SO pretty and your arrangement is gorgeous!!!! 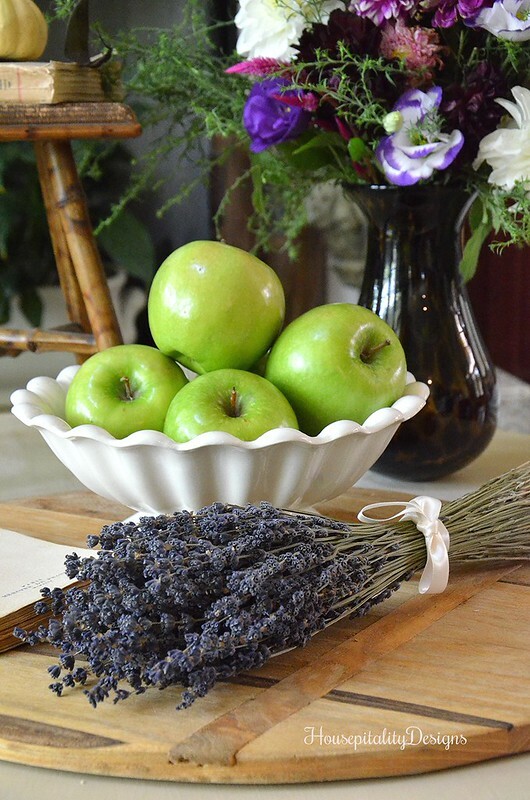 You could be a floral designer!!! I am so happy to hear you got your stiches out today. I, too, am using some animal prints for Fall! I also have several animal print pumpkins!! Whoo hoo! I LOVE FALL!!!!!!!!!!!!!!!! My last post has always shown up but now it isn’t??? I don’t know why??? Everything looks great Shirley. I know you will be glad to get the stitch’s out. After while they get annoying. Take care and have a wonderful weekend coming up. We have pumpkins in the store already. 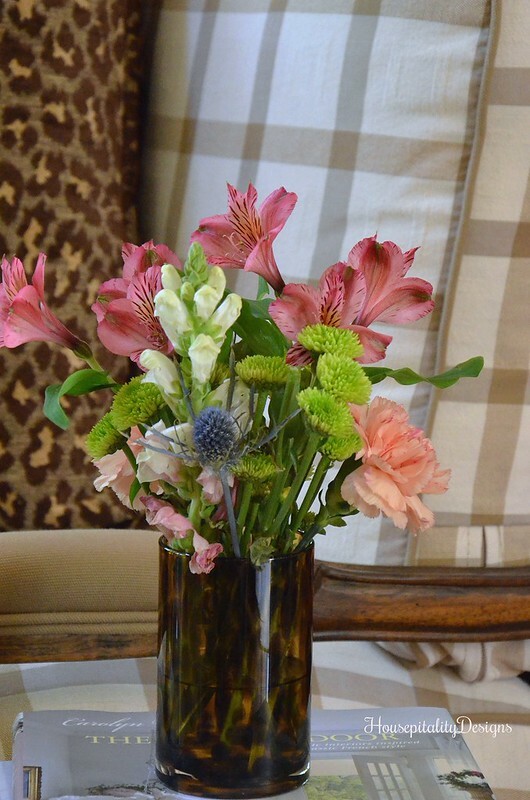 Such a pretty bouquet an arrangement in your animal print vase! I’m sure you’re jumping up and down with glee with your stitches being removed! All so very beautiful nd I love the flowers you chose to work with Shirley! 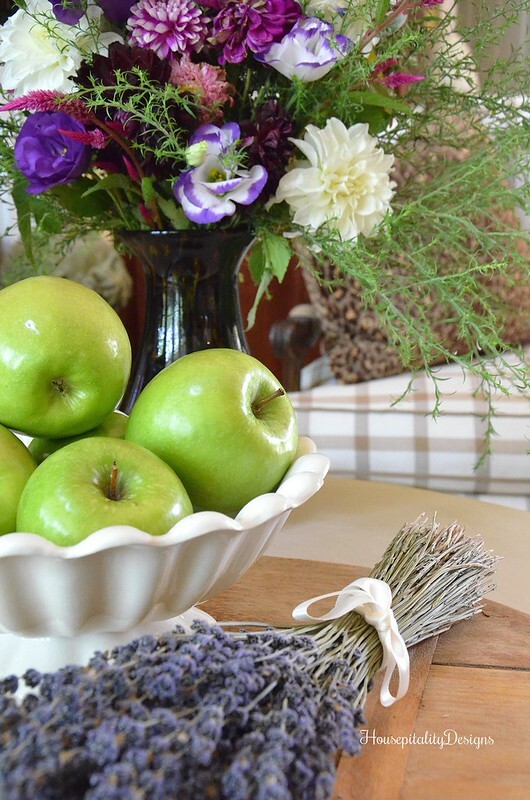 Wow, this arrangement is absolutely gorgeous! 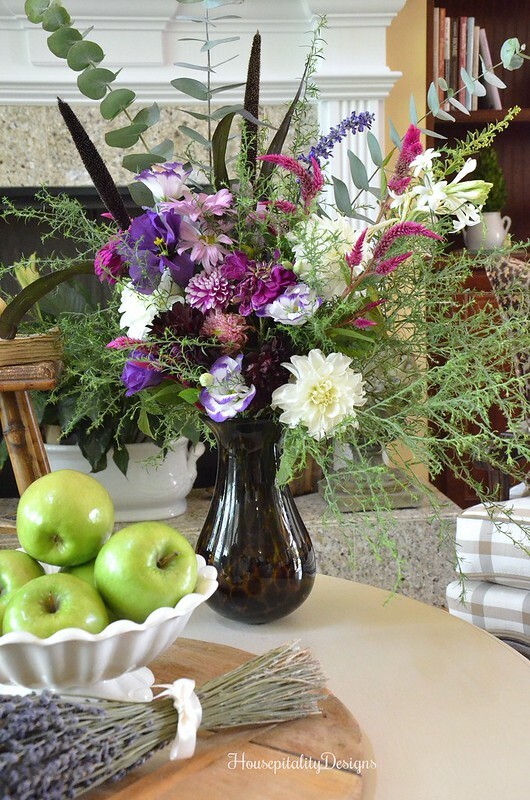 I love the flowers you included here, and that vase is absolutely beautiful! Great job! Thanks for sharing the idea and instructions!